i hope developers are really serious reasons to move site to this engine because for now i do not like at all new engine, it remind me something like f** facebook where is no structure and chaos reigns everywhere. I would like to add the following. Can someone confirm if the second point is correct? 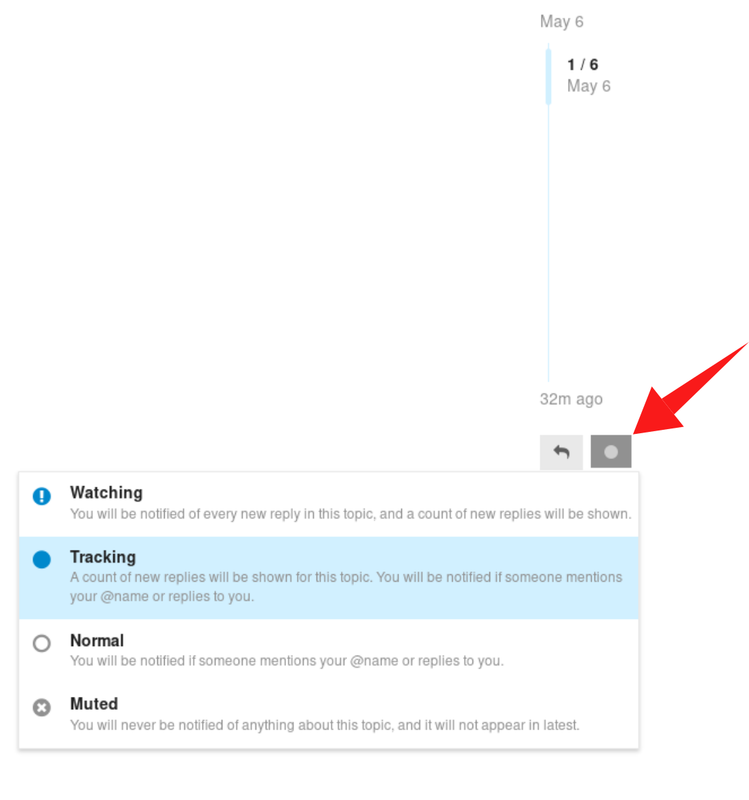 You can then see all unread message on topics which you tracking by clicking on the appropriate link on the bottom of the page. Can someone confirm if the second point is correct? It is, you can also pop up those links amongst others by pressing the = key. @all Keep the timesavers and tips coming please. Thanks. If I figure how to do it for index pages, I will post it too (trickier on first look). Mouse hover is a waste when eyes can do it on a glance (the text is already grayed, so no, showing it is not TMI). Having to open the 3-dot thingy to see what is avaliable is also slow (designed decided like and share are more important than flag and bookmark… maybe some prefer bookmark than any of the others). How to get to thw last page of this thread? Try clear your cache and cookies. This happened because you have cookies and cache from the previous forum engine. Beware that some browser will wipe all cookies and cache. As alternative, login from different browser. Sorry about the Edit spam. Seems that </br> doesn’t always take so there’s a mix of whitespace and html linebreaks. Tried to neaten it up, still not there, feel free to improve upon said and or the content. Feedback is good too @all. About the suggested topics section, I think it should be related to the topic we are reading / posting at that moment, not to the user past history. Wherever I go I keep on getting suggestions about YafaRay topics, some of them very old, because of my activity in this forum, but I am not interested at all on that stuff right now, and I can imagine as a better behavior f.e. that someone asking something about a lighting algorithm getting more suggestions about that particular topic, instead of getting suggestions about his past history on the forum. Am I right? I would skip shortcuts in the getting started guide. They are mostly for power-users (who feels comfortable navigating up and down with J and K anyway? ), and some of them are not even Discourse shortcuts, but from the browser, like Page Up, Page Down, Home and End. (So lets try Something found here). Note that the ID’s don’t only work within one single post but throughout the page, for an example the ToC in the opening post is pointing to the header in the beginning of this very post! edit, changed it because: Just noticed it works however only if you already have the relevant discussions(replies) loaded/cached, a downside to the dynamic nature of discourse. Since this post falls within posts 11 to 20 its effectively on page 2. Should this thread perhaps be pinned? Nice find Felix, thanks for enlightening. You look like you know your way around webdev. Up for giving the wiki a once over, should you find some time and interest that is, and @bartv doesn’t mind? @Millani Could always split shortcuts off to 1337 land, just found them easier to incorporate via segue / subject. Figured users would choose according to their preferences and gloss over the rest. Might even get some uptake via osmosis / the association? Open to a draft / edit anyway. Edit: Thanks for the reminder Bart. As soon as you said it the opening paragraph came to mind. Whoops. Sure thing, everybody can contribute to a wiki! but from the browser, like Page Up , Page Down , Home and End . Discourse has to intercept those too, otherwise behaviour would be the one by browser and not the one enforced by Discourse. For example, clicking the browser scroll bar to warp to bottom doesn’t make it behave like End key does in normal pages (key and click jump fine, here it just loads some posts in big threads and leaves the scroll bar control half way, sometimes not going to last post). Holding Page Up and Page Down clearly shows the system is trying to keep up. Ctrl-F and / also seem to be buggy (I even managed to get the browser and the site search at the same time). what is discourse exactly,??? is it a system, or another platform ? Discourse is the new forum software blenderartists.org is using right now.